The hiring of Social Security administrative law judges has its origins with the passage of the Administrative Procedure Act (the “APA”) on June 11, 1946. The APA was passed by Congress to allay Congressional, and public concern about the propagation of autonomous federal agencies created as part President Franklin D. Roosevelt’s New Deal. The APA sets out to regulate these federal agencies. The APA also sets the standard for Federal administrative law judges. The goal is the ensure the independence of these judges so that the public will have confidence in their decisions. Under the APA, the U. S. Office of Personnel Management is the federal agency which serves as the gatekeeper for administrative law judge candidates. 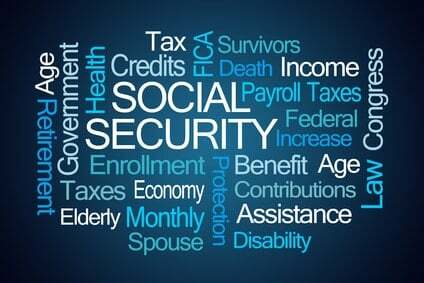 Other federal agencies select these candidates, including the Social Security Administration. Within the Office of Personnel Management is an Administrative Law Judge Program Office. This office is responsible the recruitment of administrative law judges. It also conducts interviews and general background checks of potential administrative law judges. It administers the testing for the potential administrative law judges. The qualification standard for administrative law judges is in three board areas. First, the candidate must pass an examination presented by the Office of Personnel Management. The test attempts to measure the knowledge, skills, and abilities of the candidate. Second, the candidate must be licensed to practice law in one of the 50 states, Puerto Rico, or any territory. Third, the candidate must have “qualifying experience.” Qualifying experience means that as an attorney, the candidate must have seven years in preparing, participating reviewing formal hearings or trials in the state of the Federal courts. The experience may be in jury trials, bench trials or administrative matters. Once the candidate clears the interview and passes the test, and proves his or her licensure and “qualifying experience,” he or she is placed in a pool of potential administrative law judges. It is from this pool that other federal agencies, including the Social Security Administration, draws its administrative law judges. When hired by an agency, the candidate, now administrative law judge, has a lifetime appointment. Social Security has by far the largest number of Federal administrative law judges. In fact, as of June 2016, the Social Security Administration had a little over 86% or 1,501 of the nation’s administrative law judges’ corps working in its administrative agency. According to the former Commissioner of Social Security, Michael J. Astrue, the Social Security Administration looks to hire administrative law judges who are not only competent but will treat people with dignity and respect. Administrative law judges act as independent judges. As a result, they do not have performance reviews. The judges do not receive performance-based awards. However, the administrative law judges are subject to the Social Security Administration’s laws and policies. The rates of basic pay for an administrative law judge varies between $108,100 at the low end to $161,900 at the high end. On an average, a Social Security Administrative Law Judge earns about $159,196.65 annually. Administrative appeals judge pay is slightly lower, varying at the low end at $108,100 to $149,600 at the high end.